Context and strategy are key to developing effective creative which is why this in-cinema commercial mis-directs as a trailer. By using film projections and band names from the Chalk Gyms Spotify playlists, we literally announced what music is playing at the gym as well as in the music festivals. By making up band names inspired by exercises we made a fake music festival poster which drove traffic online and to the gym itself. Made entirely of sounds from the gym we created a theme which synced to exercise actions, connecting ones body to musical instruments. The mnemonic is an auditory representation of Keep Your Body In Tune as multiple out of tune notes glide into perfect pitch. 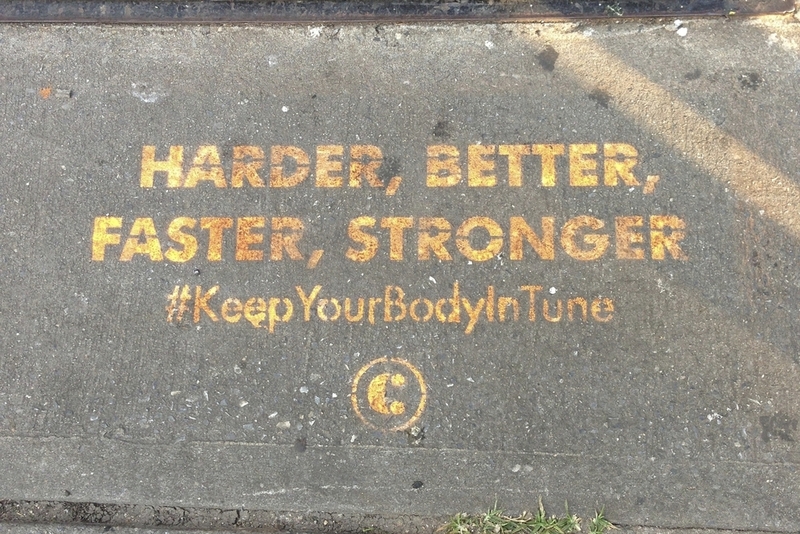 Using inspiring lyrics we created a connection to Chalk Gyms brand tag line through #KeepYourBodyInTune. With no paid media we earn over 250,000 organic impression on Instagram alone.